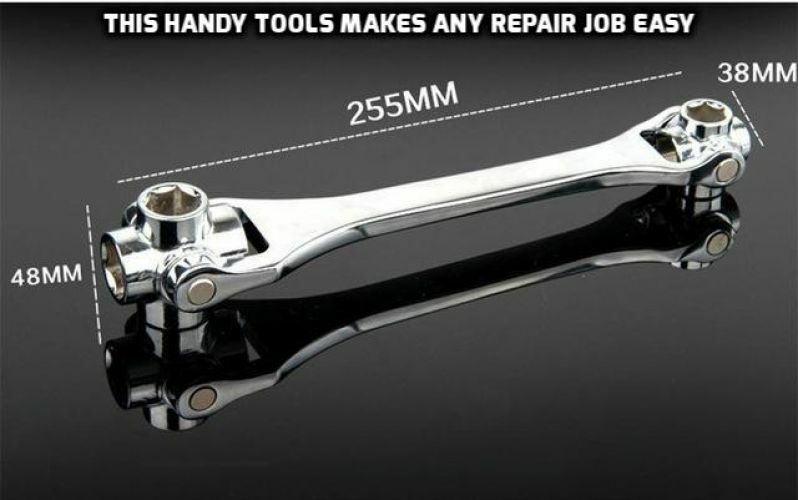 The uniquely designed tool that combines 8 tools into one and makes any repair quick & easy! By simply clicking between the different sizes you instantly have the tool you need for the job! This Wrench™ can click to a 45 degree angle to get those difficult to reach nuts and bolts. It is a thick, heavy duty, professional tool that’s designed to tackle all your projects around the house, in the shop, or on the job!